Danielle and Amy’s wedding was practically out of a fairy tale. Gold Hill Gardens was the perfect backdrop to their day, with its lily pond, huge oak tree beside a large creek and bridge. There was no better place for Danielle to arrive to her ceremony on… (wait for it) a horse drawn carriage! 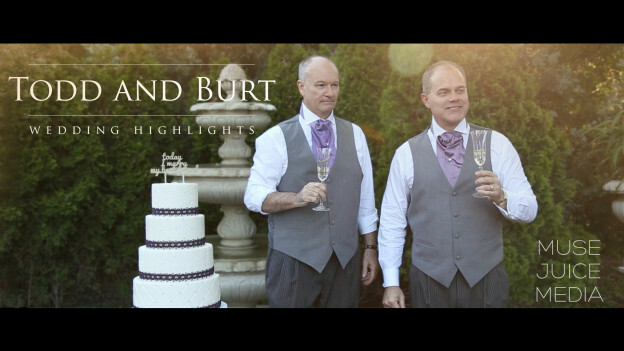 Their wedding was so romantic and their love for one another was so apparent throughout the whole day. We were honored to be part of the celebration and wish Danielle and Amy all the best in the many years to come! 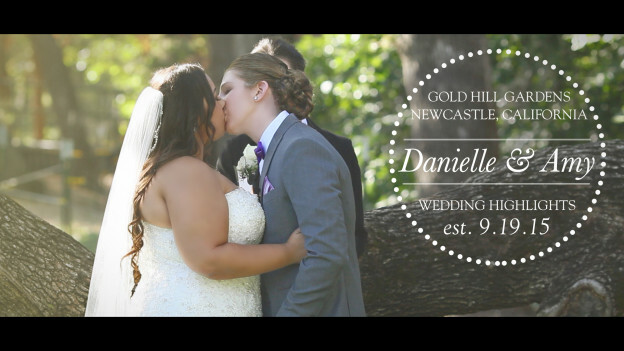 This entry was posted in Gold Hill Gardens and tagged gay wedding video, gold hill gardens, gold hill gardens wedding, lesbian wedding, lesbian wedding video, lgbt wedding video, newcastle lesbian wedding, newcastle wedding, sacramento gay wedding, sacramento lesbian wedding on November 18, 2015 by christa.